'For a healing system that has been practiced for 1,300 years, Tibetan medicine is surprisingly contemporary in its assumptions. Under the guidance of skilled lama-physicians, it views good health as a balance between material and spiritual concerns and marshals an impressive array of physical, psychological, and spiritual practices in its extensive medical kit. 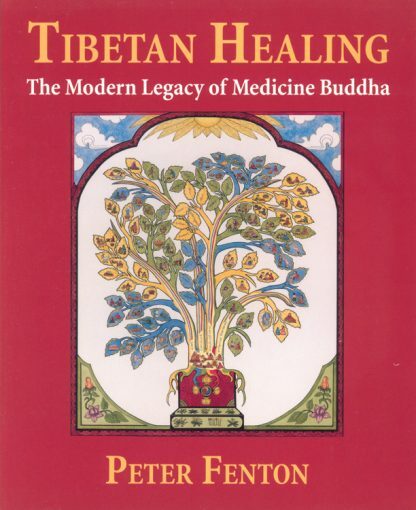 To explore the modern legacy of the Medicine Buddha tradition, Peter Fenton journeyed to India and Nepal to see first-hand how Tibetan medicine is practiced today and to discover whether its ancient secrets can help us improve our own well-being. His first-person account, full of fascinating stories and interviews and illustrated with photographs, charts, and botanical drawings, demonstrates that traditional Tibetan healing is a vibrant, living system that can help each of us rebalance body, mind, and spirit---the essence of good health.